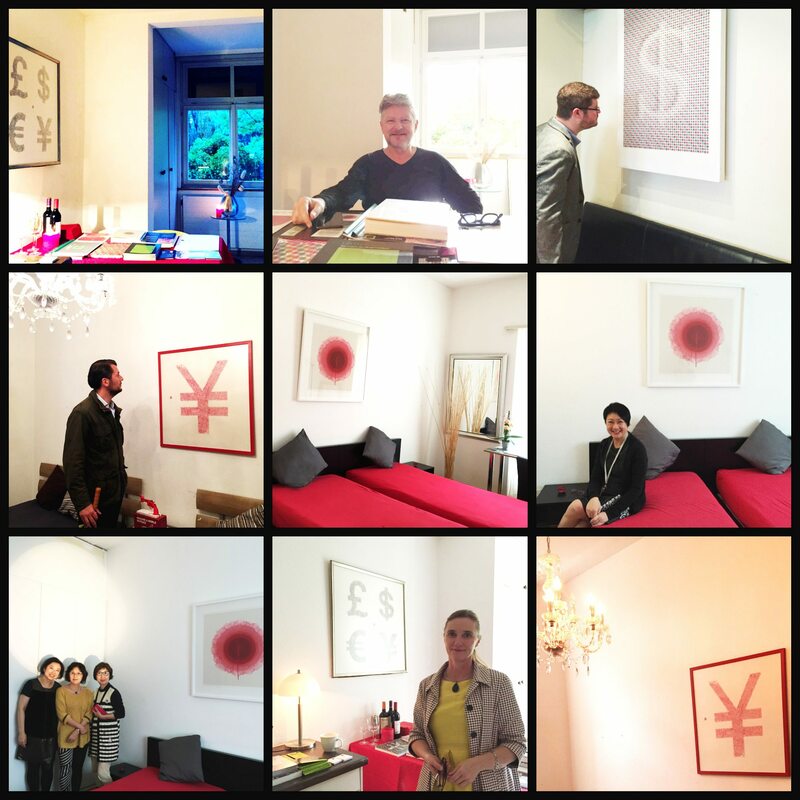 Thank you for your support in Green Art Asia's ART HOME: POWER of DOTS, private viewing home exhibition, where we were the first to bring Artist Nan Qi works to exhibit in Basel, Switzerland. We had received excellent feedbacks. Our online exhibition runs till August 12,2016. We would like to extend our gratitude to Teresa Junk, Regional Head of Marketing and Communications Asia of Art Basel, Raphael Suter from Basler Zeitung, Andreas Bernauer and Laura owner of the Piano Bar and everyone who attended, also all our friends who have given us continuous support over the years. Thank you Basler Zeitung Newspaper for the special feature for this exhibition. Last but not least, thank you to our featured Artist, Nan Qi, ”The Master of Chinese Ink Dots” for creating all these iconic artworks especially for us, Green Art Asia. 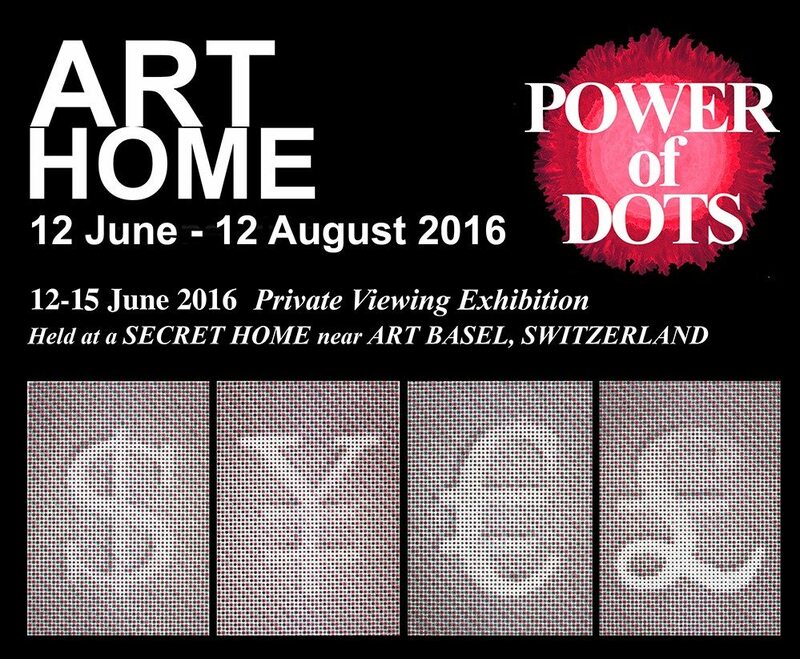 “ART HOME: POWER of DOTS” showcases the power of the dot. From Roy Liechtenstein's Ben-day to Andy Warhol's Silkscreen dots, and to Nan Qi's Halo dots, an accidental discovery, a drop of wine on Chinese paper inspired his signature single hand-painted dots and led to his acclamation as Top 30 in the Chinese Art Auction market in 2010, participating in Christie’s, Bonhams, Poly Auction, etc, and hosting in Contemporary International Art Fair Miami, Royal Academy of Art London, the 4th Beijing International Art Biennale, and more.